This month we’re all about magnesium! And as part of our obsession with this mightiest of minerals, we’ve been delving into recent studies on magnesium and its role in metabolic syndrome and diabetes. This week we’ve been delving into the most recent studies carried out on magnesium and its role in metabolic syndrome and diabetes. • Low serum magnesium is associated with diabetes and metabolic syndrome - a term used to describe a cluster of symptoms, which include hypertension, abnormal glucose metabolism (often culminating in diabetes), abnormal fat metabolism leading to high blood cholesterol and / or obesity (mostly upper body – abdominal, central or visceral) and thrombus formation leading to heart attacks and strokes. 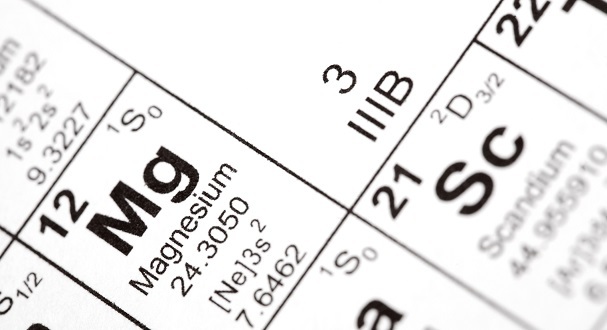 Less generally known is that low levels of serum magnesium in cells that also contain excess calcium have been identified in all of these conditions. • In a study published in Archives of Medical Research, 47 metabolically obese, normal weight individuals with hypomagnesemia were enrolled in a randomized, double-blind, placebo-controlled trial. Patients were given either 382mg magnesium or placebo once daily for four months. There were no differences between groups before treatment, yet at the end of follow-up, changes in the mean of systolic and diastolic blood pressures, HOMA-IR (insulin-resistance) index, fasting glucose and triglyceride levels were significantly lower in the magnesium group than the placebo group1. • A 2015 study published in the journal Clinical Nutrition found that magnesium levels were lower in 88 children, adolescents and young adults than in age-matched healthy subjects. In addition, higher levels of blood malondialdeyhde (a known marker of lipid peroxidation) were found in type 1 diabetic patients2. • An article recently published in Archives of Medical Research suggested that the beneficial actions of magnesium supplementation can be attributed to its ability to ensure formation of adequate amounts of various PUFAs (polyunsaturated fatty acids), NO (nitric oxide), and suppression of inflammatory markers IL-6 and TNF-a that results in the prevention of type 2 diabetes mellitus, insulin resistance, hyperlipidemia and hypertension3. Another article published in the European Journal of Internal Medicine suggested that good sources of bioavailable minerals, including magnesium, may constitute a valuable resource to prevent or delay the progression to a metabolically unhealthy phenotype, and, consequently, decrease or delay CVD risk4. • A 2015 study published in Nutrition found fish oil, Magnesium, and Zinc to be associated with favourable metabolic parameters5. • A meta-analysis involving 8 studies and 31876 participants assessed the association between dietary Mg intake and metabolic syndrome. The analysis showed that a higher consumption of magnesium is associated with a 27% lower risk of metabolic syndrome; and also found a significant association between serum magnesium levels and metabolic syndrome6. Another study published in the European Journal of Internal Medicine and carried out on 427 subjects aged between 20 to 65 years found a positive association between low magnesium and metabolic obesity7. • A study published in Egyptian Pediatric Association Gazette found serum magnesium levels to be inversely correlated with the degree of obesity, and related to an unfavourable serum lipid profile in obese children and adolescents, who also show a trend to higher systemic blood pressure. The study was carried out on 50 obese subjects of ages 2–16 years and 50 healthy normal weight subjects of matched age and sex8. The links between magnesium, metabolic syndrome and diabetes are now firmly established and continue to be strengthened by a wealth of active research. Ensuring magnesium levels are kept optimal is an important dietary strategy whether as prevention or ongoing support for these chronic and increasingly prevalent conditions. Consume magnesium-rich foods, such as green leafy vegetables and wholegrains, and supplement extra magnesium in the form of glycinate as this is a highly bioavailable and well-tolerated form of the mineral.